Learning how to write is not always about writing letters of the alphabet. Many children struggle to write numbers. This can often be overlooked as we use letters more often when writing. 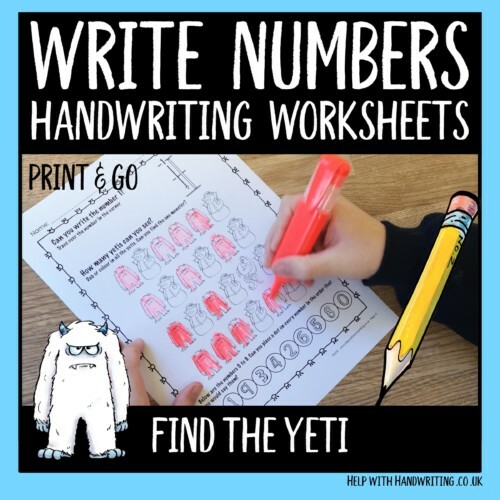 If your child is finding it difficult to write their numbers then these handwriting worksheets are the answer. Every page helps them to practice writing, solve a number maze and find the number in a puzzle. 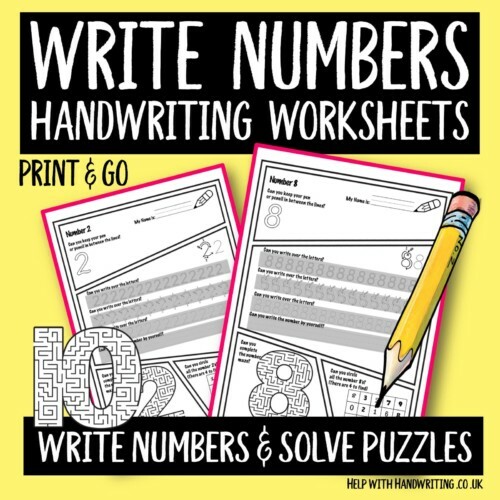 This is a 10 page resource encourages children to write numbers 0-9. Every page teaches a child how to write one number and has 3 activities to complete. They must also find the yeti on every page.